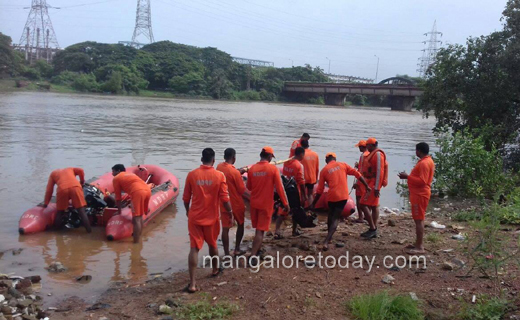 Mangaluru July 11, 2018: A rescue team from National Disaster Response Force (NDRF) is continuing the search for Sushant, a 20 year old youth of Vamanjoor village who had gone missing since July 9th. It is feared that the young man has drowned in the waters of Moodushedde dam as he was last seen in its vicinity. Sushant is the son of Nagesh, a resident of Vamanjoor. 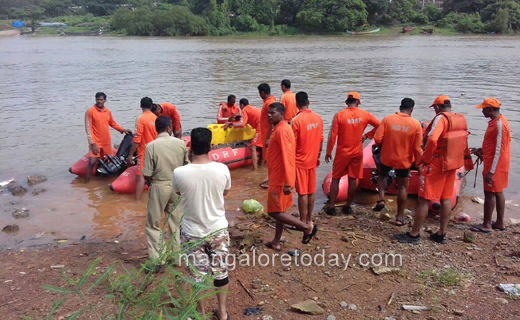 Though fire brigade personnel had undertaken an intense search of the dam waters, the body could not be found. Now the search operation has been taken over by NRDF who have greater expertise in search and rescue missions. It may be recalled that two NDRF teams has been deployed in the coastal region following heavy rains to assist the civic authorities in dealing with any adverse situations. Each NDRF team is said to contain 30 members. One of the two teams is said to have been moved to Udupi. 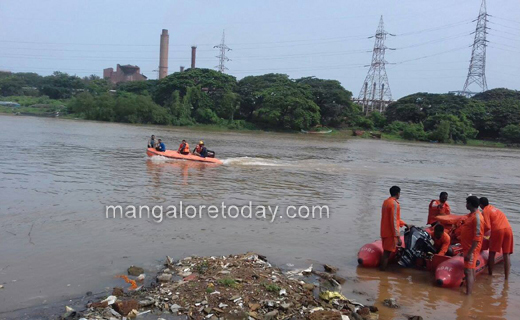 After NDRF took over the search for Sushant, the search area has been extended to Kulur-Tannirbavi it is learnt.